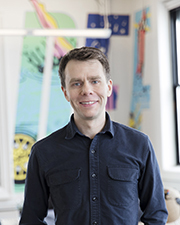 Scott Heiferman is co-founder and CEO of Meetup and is working for a radical reorienting of society toward resilient, real community that empowers people. At the end of 2017, Meetup became part of WeWork, the world’s leading IRL community company. He started Meetup, his third successful internet company, after seeing the potential for community renewal around the tragedies of 9/11. Now over 30 million people are members of Meetup communities in cities everywhere. Scott is a Henry Crown Fellow of the Aspen Institute, was the recipient of the National Conference on Citizenship’s Jane Addams Award, and MIT Tech Review’s Innovator of the Year. He graduated from the University of Iowa and is an NYC dad of two young kids.